This is where I met a good friend of mine, Lisa. Still to this day we keep in touch. At least once a week Lisa and I would go to this yummy deli down the street and order this pesto pasta with pine nuts and chunks of cheese. We ate it so often that eventually I could not stand the smell of pesto. I went about 10+ years wanting to gag when I would get a whiff of it. A few years ago I longed for some pesto pasta salad like we used to eat at that nifty little deli. I added some chicken to it and made it a yummy dinner meal. This is a super simple recipe that is easily at the table in 30 minutes or less. The longest step is waiting for your water to boil. 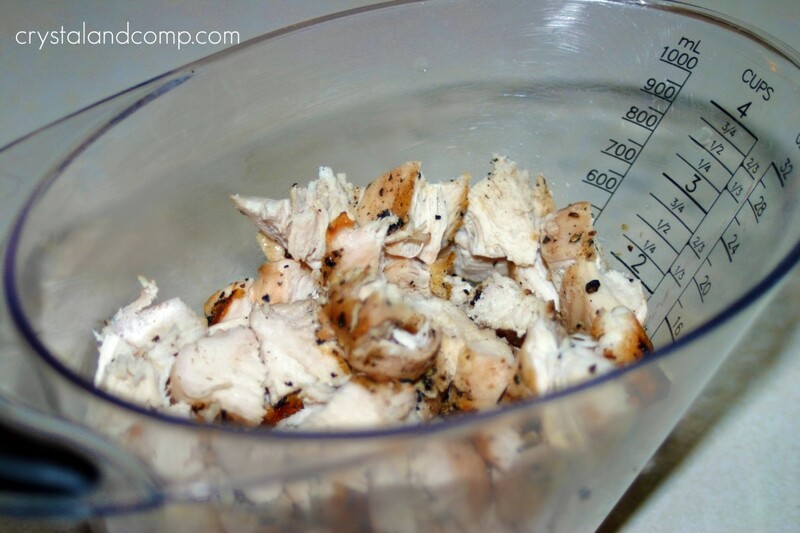 While you’re waiting for the water to boil, chop your cooked chicken. You could use chicken that you grilled from a previous dinner, chicken that you cooked in the crockpot during the day, or a rotisserie chicken you grabbed from the deli at the grocery store. I used 4 grilled chicken breasts that I cooked in mass quantity a few nights before. 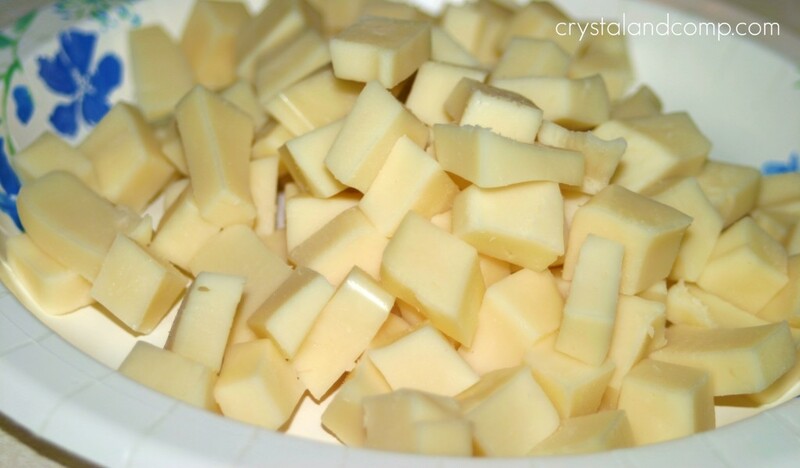 Take your block of mozerella cheese and cube into small bite sizes pieces. 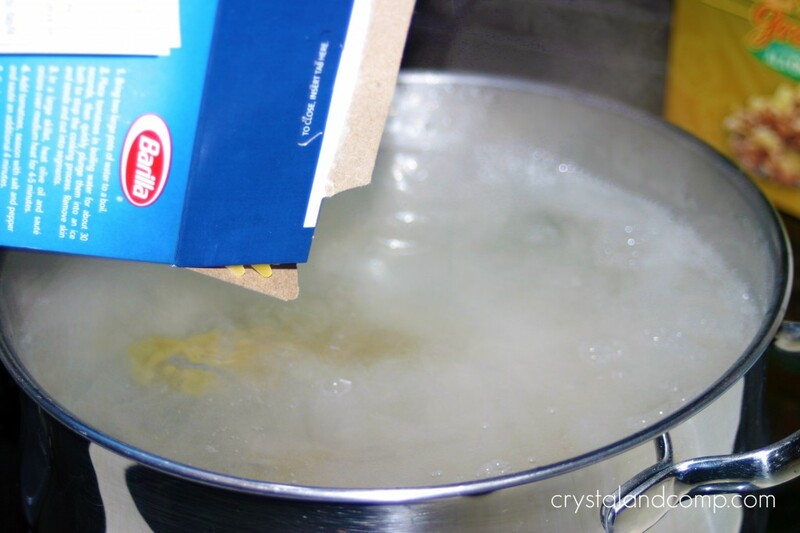 Once your water comes to a boil, add the pasta and let it cook until al dente. Likely 9-11 minutes. Once your pasta is done cooking drain and rise in cool water. Transfer it to the bowl you would like to serve the pasta in. This is where the pesto sauce comes in. You can certainly make it yourself, but I like to purchase it already made. You will find it in the refrigerated section of your grocery store. 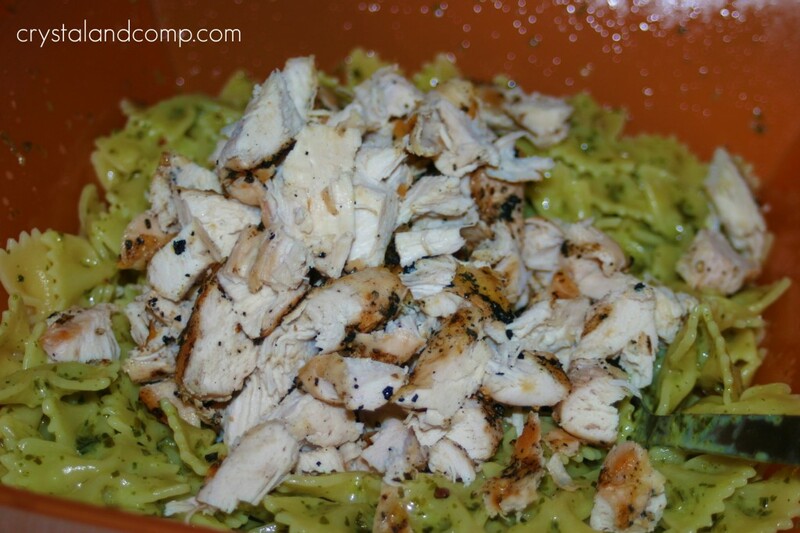 Dump the pesto sauce over your noodles and stir to coat evenly. Measure out 1/2 cup of pine nuts. 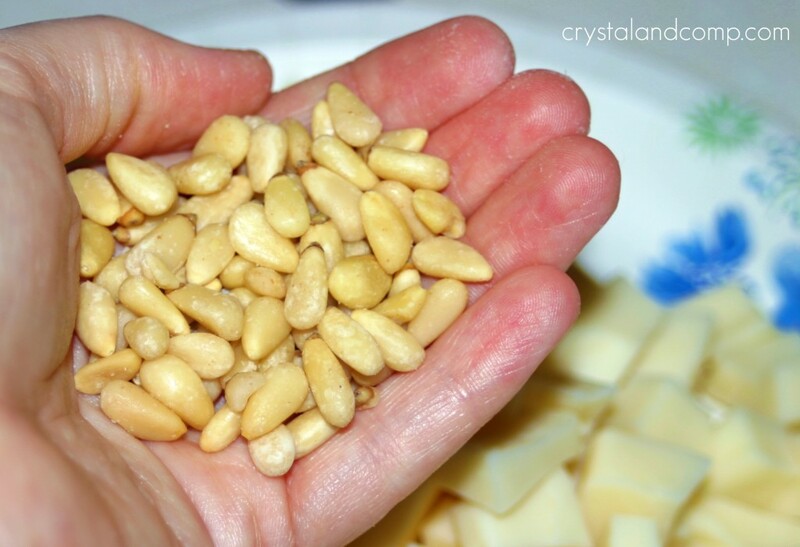 I love pine nuts, but if your family is not fond of them, you can certainly do less- maybe just a handful. 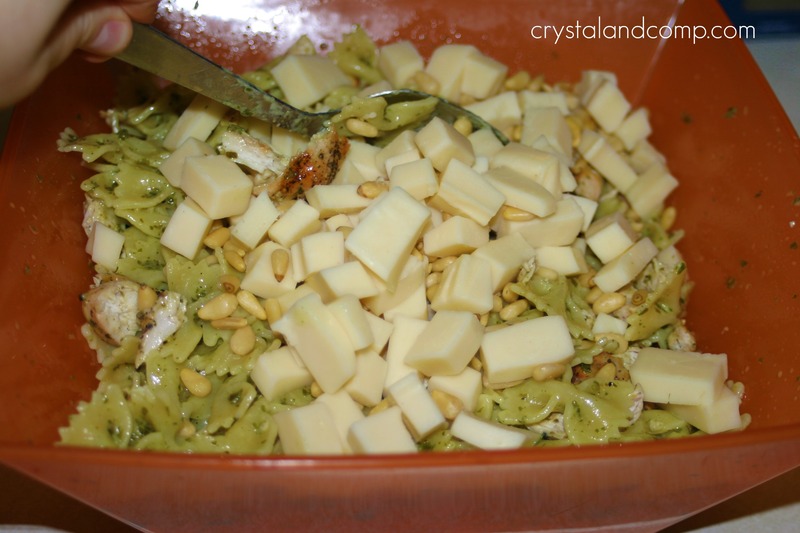 Add the chopped chicken, the cubed cheese and the pine nuts to your pasta and stir to mix. Whatever is leftover you can refrigerate and serve chilled within the next day or so. I am sharing these tips and pointers on these resourceful sites: i heart naptime, the girl creative, C.R.A.F.T. craftomatic, crafts keep me sane, skip to my lou, making the world cuter, sumos sweet stuff, mad in crafts, tip junkie, tasty tuesday, tempt my tummy tuesday, craft edition, hope studios, todays creative blog, sew much ado, someday crafts, we are that family, blue cricket designs, somewhat simple, paisley passions, house of hepworths, fun to craft, fingerprints on the fridge, tidy mom, a few of my favorite things and it’s a hodge podge life. Looking for a more copious list? Here are over 50 sites to search for and share projects and tutorials. oh my word, i was just thinking of making this!! looks so yummy! thanks so much for stopping by and commenting on my freezer meals & also for sharing them with your FB readers ~ i really appreciate it!! Angie- you’re very welcome! Thanks for swinging by my site. The pasta dish is awesome. 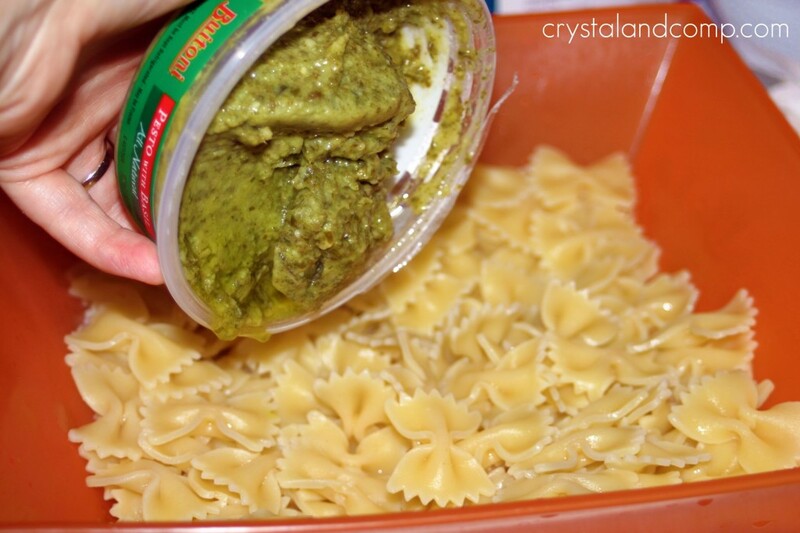 Esp if you love pesto and pasta! sounds easy enough……and yummy. I think I’ll give it a try. YUM! 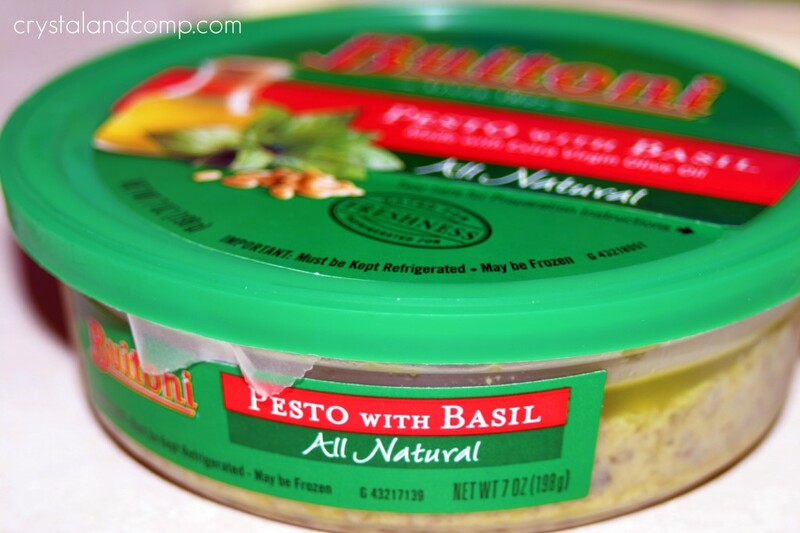 This looks so good…and I love Buitini basil pesto on pretty much anything. Thanks for sharing this! Stopping by from Tip Junkie! What a great recipe!!!! MMMmmmm! Sounds delish!!! WOW! That IS simple! I love pesto and I’m always looking for recipes to use cooked chicken in. TFS! 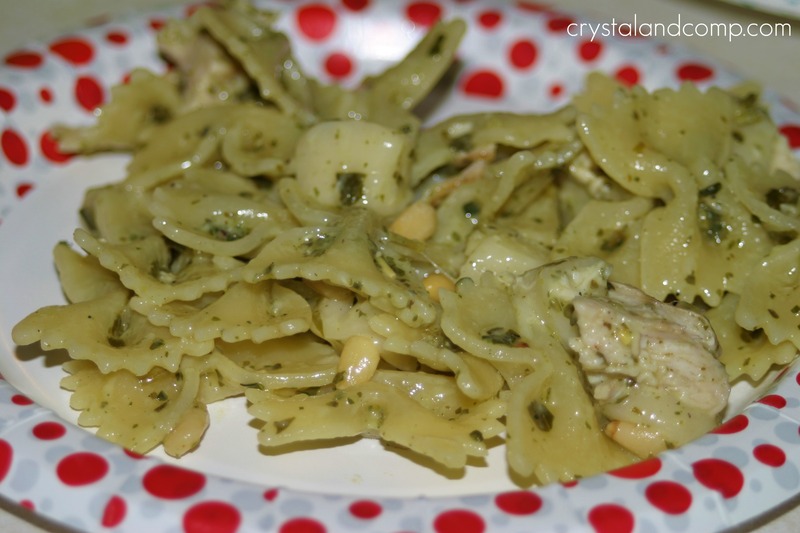 Diana- you can also just cook chicken breasts in the crockpot that are covered in pesto sauce. Yum. Mmmm, sounds delish! I’ve always wanted to make something like this! The best! I make something really similar on weeknights when I don’t really feel like cooking. Plus, it’s good leftover hot or cold! oh that is definitely yummy. I am going to pin that on pineinterest. Awesome Beverly! Thanks for pinning! That looks absolutely delicious … I’ll definitely be making it. Thanks for sharing! Had to come back to tell you we tried this and LOVED it. It’s a new family favorite. Awesome, Randi! That just made my day. Super easy, super delicious! 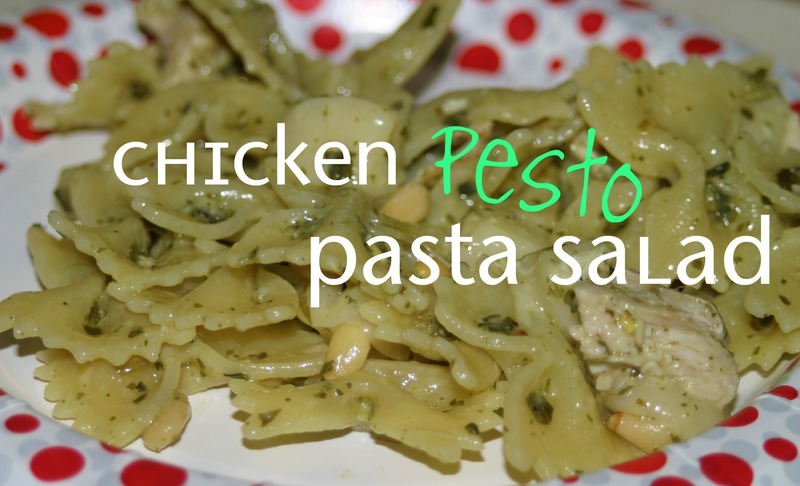 I love the back story for why you lost the taste for pesto…and then craved it again after ten+ years. I also love pesto and after reading this, I’ve decided to walk out to the garden and pick a bunch of basil to make some tonight! Thanks for linking to Food on Fridays. Some cherry tomatoes cut in half would give it nice color and flavor. That is a great suggestion, Anton! I will have to try that. It is truly a small world, I have a friend that works for Acme Brick and she too is a great cook. This is a wonderful summertime salad that is full of flavor! Thank you so much for sharing with Full Plate Thursday and sure hope to see you again real soon! Let me know how much you love it. Esp if you love pesto and pasta! oh my word, i was just thinking of making this! !